The north american Bobcat, or Lynx Rufus is rarely seen by man. So most people know little about the elusive animal. Hopefully this website will be a source of information on the incredibly beautiful Lynx for those that are curious and want to learn more. The Bobcat is listed in Appendix II of the Convention on International Trade in Endangered Species of Wild Fauna and Flora, which means it is not considered threatened with extinction, but that hunting and trading must be closely monitored. 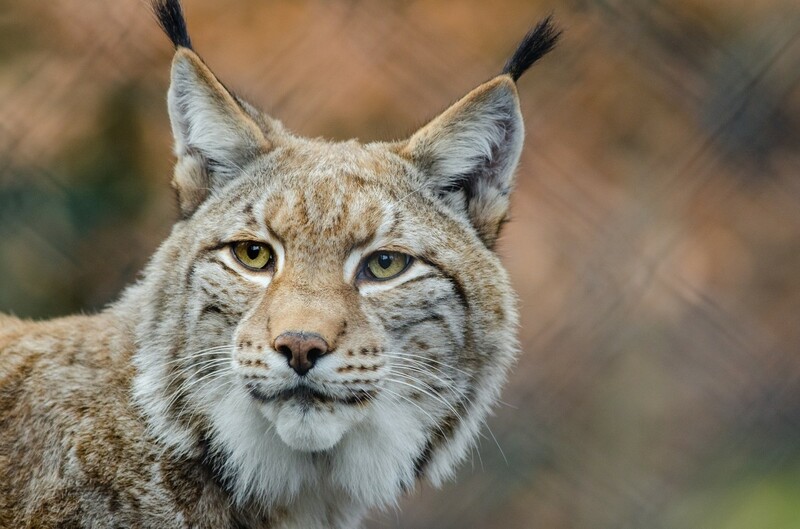 There is a subspecies of lynx that is considered endangered. The Lynx rufus escuinapae (the Mexican bobcat) is listed by the U.S. Fish and Wildlife Service. This subspecies is confined to central Mexico. 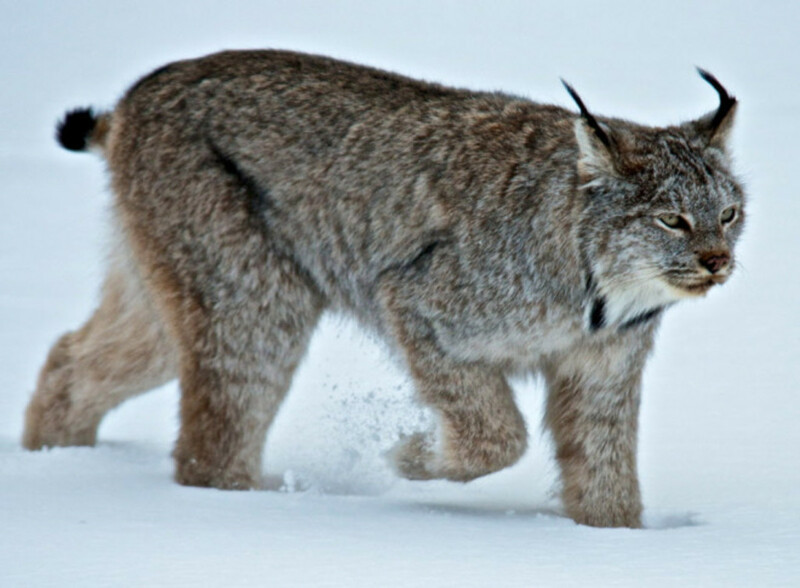 Have you seen a Bobcat or Lynx in the Wild? 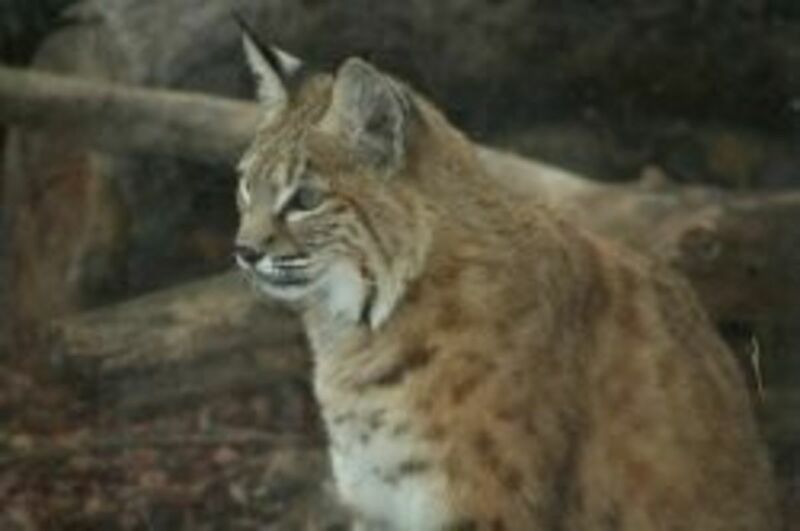 The Bobcat looks much like other species of the Lynx genus but is the smallest of the four. 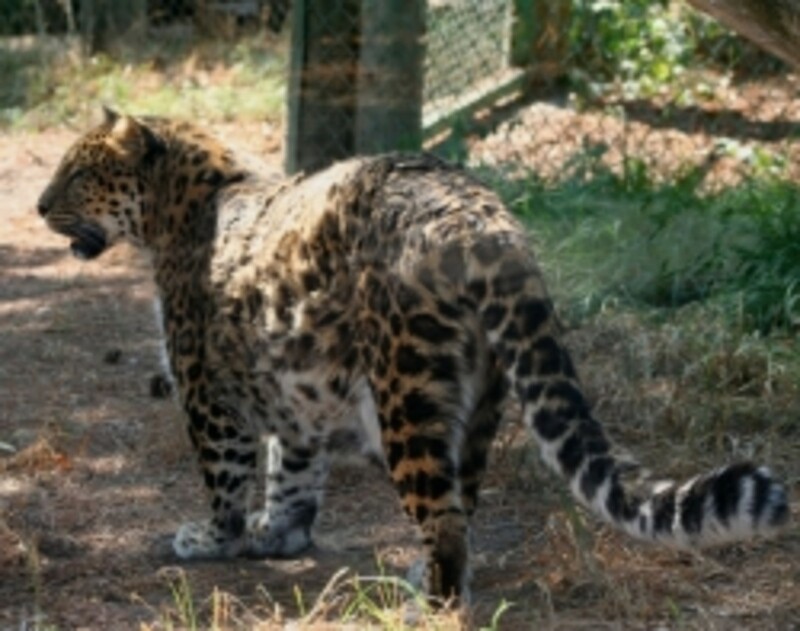 It is spotted patterning acts as camouflage. The ears are black-tipped and pointed, with short black tufts. 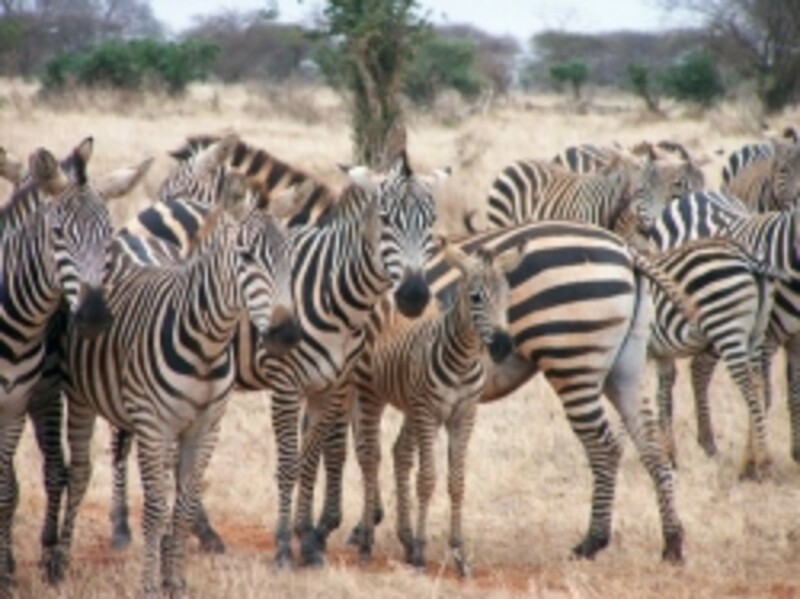 Their color also varies by the region they inhabit. Bobcats in the desert regions of the southwest have the lightest colored coats, while those in the northern, forested regions are darkest. Kittens are born very furry and already have their spots. The face appears wide due to ruffs of extended hair beneath the ears. The fur is brittle but quite long and dense. 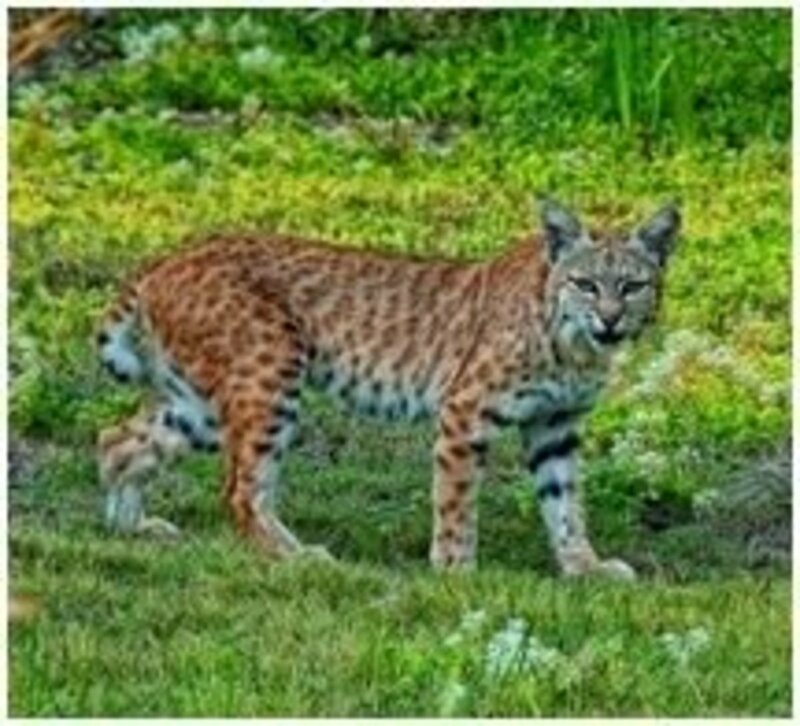 The nose of the Bobcat is pinkish-red, and it has a base color of gray or yellowish- or brownish-red on its face, sides, and back. Bobcat eyes are yellow with vertical elongated black pupils that widen to help them see better at night. 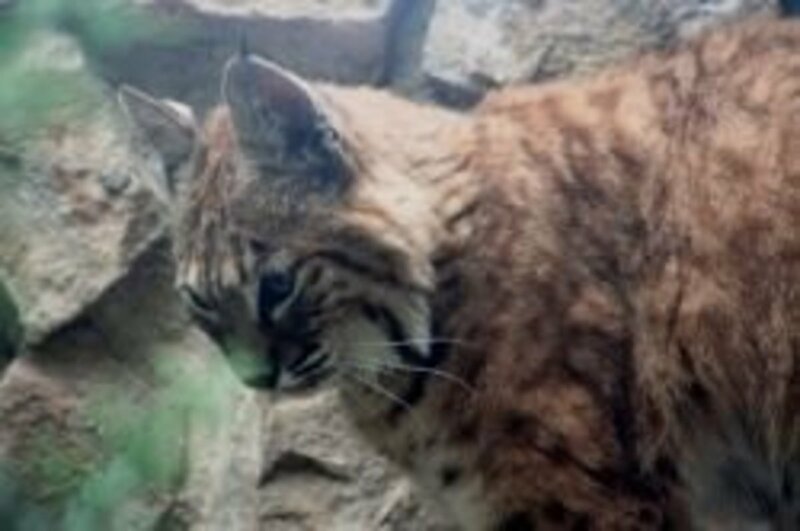 The historical range of the Bobcat was from southern Canada, throughout the United States, and as far south as the Mexican state of Oaxaca, and it still persists across much of this area. 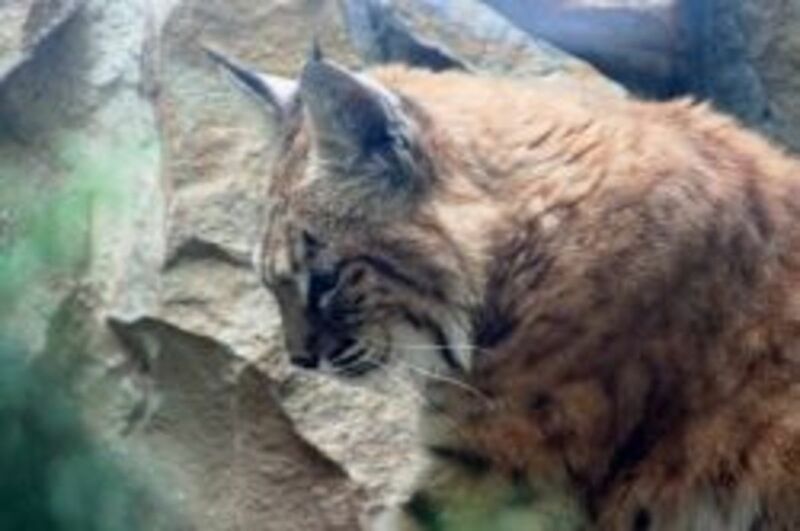 This photo is of a Lynx in our Boise Zoo in Idaho, taken by me. The Species of Bobcat - How many different types or subspecies are there? There are twelve Bobcat subspecies currently known or recognized. Below you will find their scientific names, the souces cited and the location where the subspecies is believed to range. Which is a big reason why as you look at photographs of the lynx or bobcat, many of them look different. I remember when I was painting the lynx you see at the top of the page, everyone was giving my different descriptions of what they "knew" a lynx to look like. Each one was probably correct, because all the subspecies and species of lynx vary in looks, with the common similiarities you see in all of them. The bobcat is a carnivore and has a diet of mostly meat. They stalk their prey and then pounce on it, going for the neck for the kill like most of the big cats do. 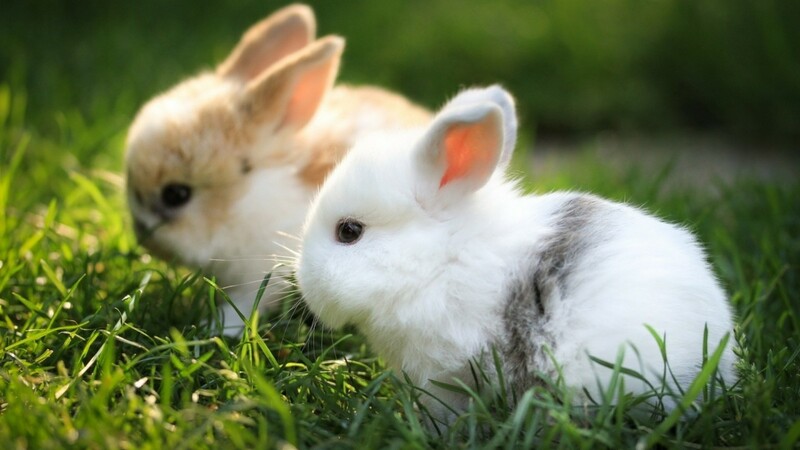 Their most common diet is rabbits, hares, rats, rodents, squirrels, birds, fish, reptile and even insects. 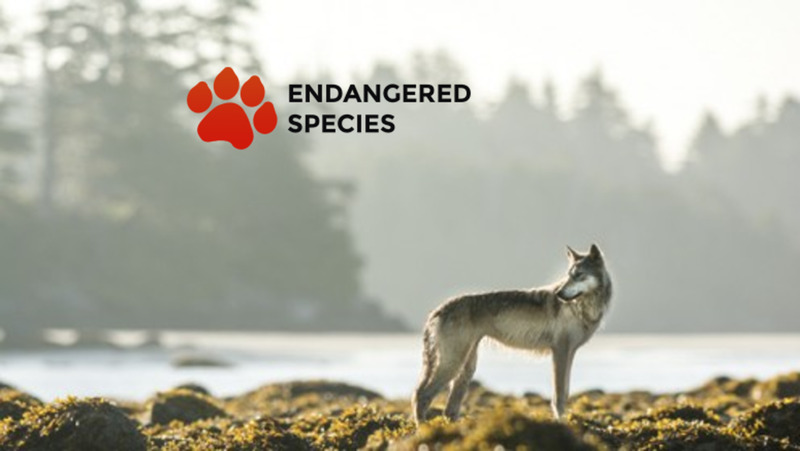 Less commonly, they have been known to sometimes hunt foxes, minks, skunks, small domesticated animals and small livestock like goats, sheep and chickens. What predators does the bobcat have? So I bet you were wondering, just who hunts the elusive Bobcat? The bobcat is often hunted by foxes, coyotes, owls, Cougars and wolves. 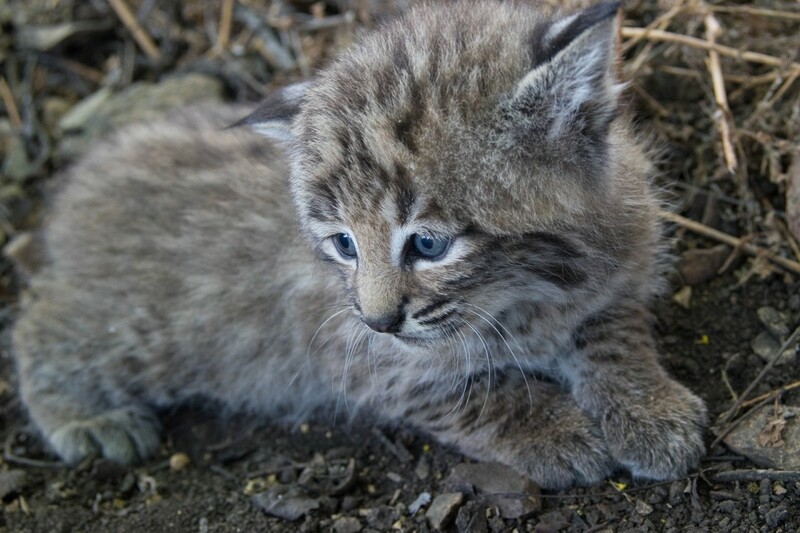 Sadly the kits are sometimes killed by male bobcat. The largest threat to the bobcats existence come in the human form. How long does a Bobcat Live? Bobcats live on the average six to eight years. Very few live past ten years of age. 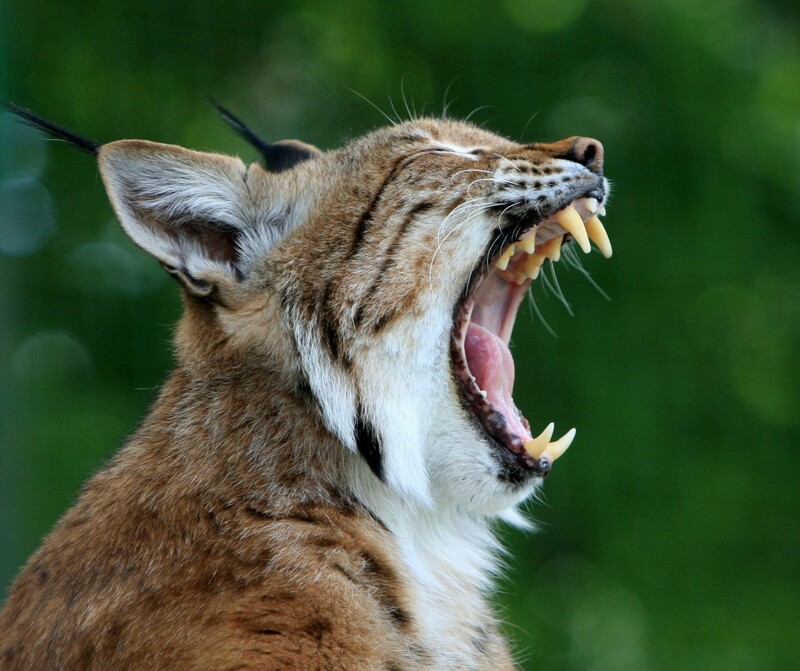 There has been rare cases of a bobcat living as long as sixteen years in the wild and thirty two years in captivity. Spring is the most common mating season for the bobcat. They breed much like the common house cat, with a female often having several different male mates. There is a lot of neck biting, howling and screams during breeding. The female will have her kits often in a cave, or hollow log, any sheltered area will do. Her gestation period is sixty to seventy days. The lynx has between one and six kittens, with an average of two to four in a litter. The kits will open their eyes in nine to ten days and are usually weaned by two months. Though they will stay with their mother longer. What kinds of things does a Lynx do? The Bobcat is nocturnal, and does most all of it's activities at night. They travel two to seven miles every day. There teritory is marked with feces, urine scent, and by clawing prominent trees in the area. They are usually known to be quiet except during mating season where their yowls and hisses can be heard. American Indian Legends : An Apache Indian Legend - Badger carries Darkness: Coyote and Bobcat scratch each other. 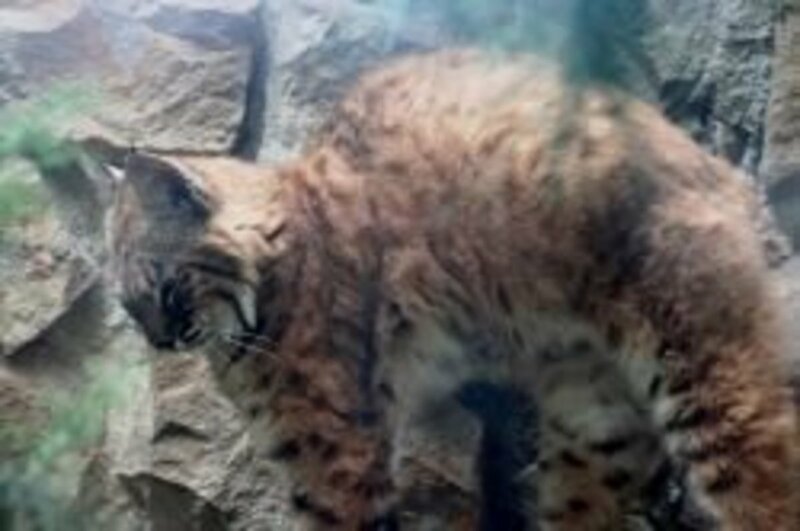 According to Shawnee Indian lore, the bobcat got his spots due to an encounter with a rabbit that he had chased into a tree. The wily rabbit suggested that the bobcat build a fire in order to be ready to start cooking - once the fire was going, the rabbit jumped in its center and sent sparks flying so that embers landed on the bobcat. The rabbit escaped as the bobcat ran to the river to extinguish his coat, which the embers had left with telltale burned spots. I hope you enjoyed learning with me about the Bobcat/Lynx. Please drop a note and leave your thoughts. This is very informative. Their ears are so interesting. Nice lens. I didn't know that the life of a bobcat was so short. Thanks for the info and photos. I love cats. I've seen a bobcat in the wild once here in Southern California. Fabulous lens about truly beautiful animals! Beautiful animals. I no longer hunt, but when I was stationed in New Mexico, I occasionally went "varmint" hunting. It was usually just prairie dogs, but I also had a predatory varmint call which mimicked the sound of a dying rabbit. One day, I was crouched down with my call and my 22.250...looking up in the sky...expecting the crows I'd been hearing to show up. I noticed something out of the corner of my eye to my right and a mere 5 five feet in front of me. I froze; the BOBCAT froze. When I let out a yelp, he took off in a flash. No harm done...to either of us. My closest encounter with the species. I was lucky it wasn't a mountain lion...which also inhabit the area. A really interesting lens. As I live in the UK I know very little about them. We're fortunate to have a family or two of bobcats in our Florida community. The conservation areas plus the golf course gives them plenty of cover. I've seen them several times though they don't linger long enough for me to get a photo. 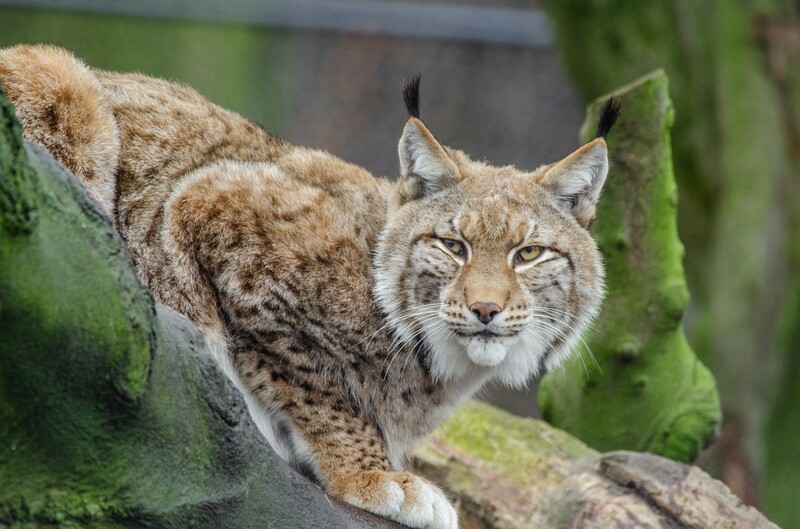 Lovely images and information on Lynx and Bobcats. Recently I walked out my back door with my dogs and standing not 20 ft. away from us was a bobcat.....in the middle of the day! Loved my visit here! Terrific lens! We live in the foothills of the Sandia Mtns in Albquerque and have seen quite a few bobcats. They are beautiful. I did not know there we so many different subspecies. Beautiful layout. Just had one walk across my backyard this morning. Beautiful !! Really interesting. I have seen them only in paintings. 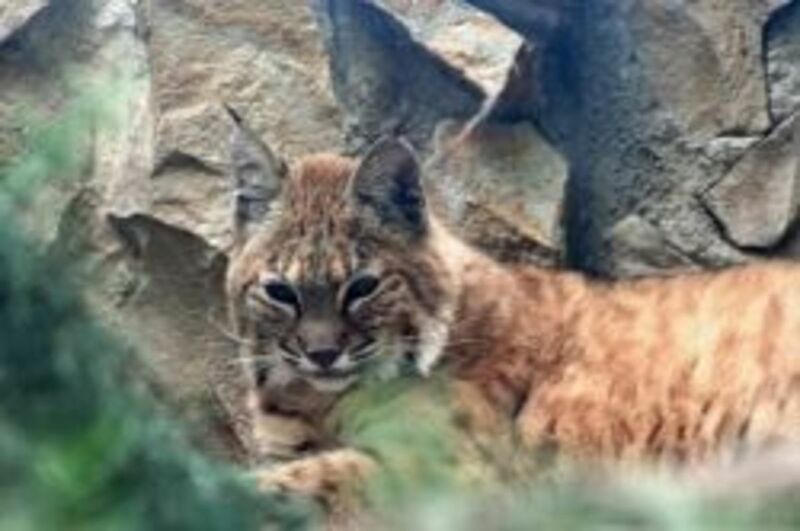 You must know that I am a cat lover ... what's not to love about the Lynx and the Bobcat? 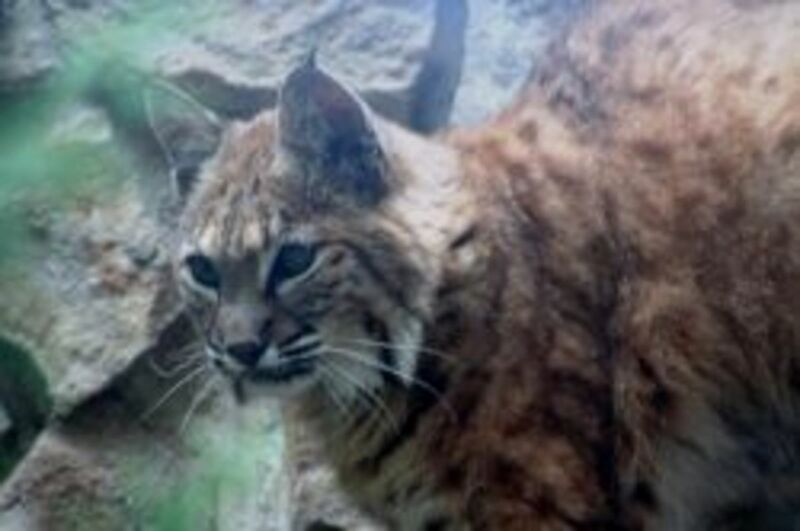 Thanks for the wonderful photos and info about the bobcat and lynx. Never knew there was an African Lynx. Sure wish that I had my camera with me! I was driving into my mum and dad's home in the Okanagan Valley, B.C. Canada and there was a lynx sunning him/herself on a large rock at the side of the road. I didn't even know that they lived in this area. It is a beautiful creature! I loved this lens with all the videos and am giving it angel blessings. Marvelous! This lens has been blessed and added to my animal alphabet lens. I enjoyed learning from this excellent lens. Enjoyed the videos, too. I've seen a bobcat or two near my mountain home while hiking. I had been wanting to learn more about them, so I was glad to come upon this site. Thanks! I always thought the Lynx were especially beautiful. I have seen Bobcats in the wild, but never a Lynx. great lens. I am a big fan of all types of cats. I found your site fascinating a very well made. I will be back to learn more about bobcats and lynx! What a beautiful creature. So sad that to discover that so many of these wildcats are endangered, and there seem to be few Lynx in the wild here in Europe too. Lensrolling to my Scottish Wildcat, a smaller cousin who is only just managing to escape extinction by a whisker. Beautiful cats! We have lynxs here Finland too. Very important lens 5*. I have just seen my first Bobcat, (I'm 54) That means I'll see another one.. Ah.. Never. Ran in to look up some info on the PC. Hell of a time to not have my camera. Your site has been a big help for information. I had no idea that an owl could catch and kill a bobcat. Fascinating lens. They look innocent and cute. Great lens! Very nice lens! I've lensrolled it to my "Critters of the Coconino National Forest". 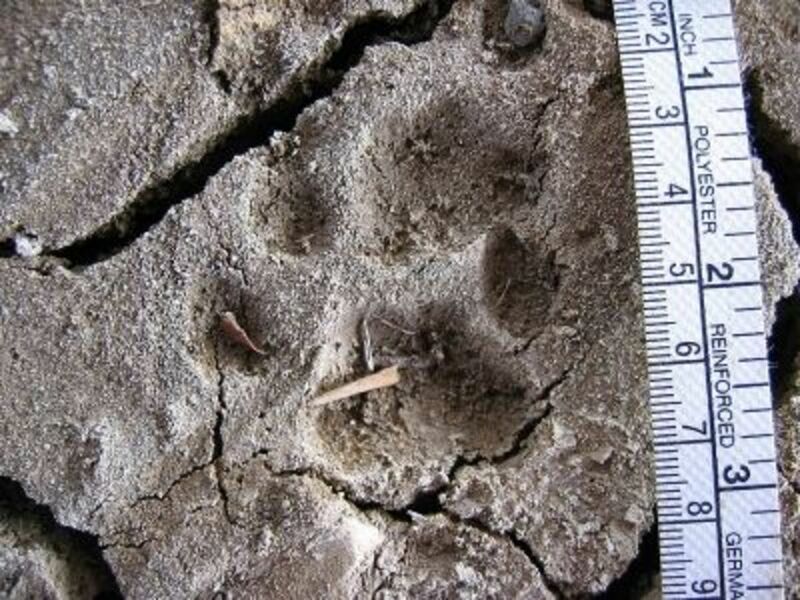 I've never actually seen a bobcat in the flesh (outside of a zoo, that is), but I see their tracks often, and often those tracks are very close to jackrabbit prints. I always wonder what the time difference was between the two sets and if they ever met. If so, I think I know which tracks would be left over. Another gorgeous lens. Wow! Great job! Thank you for the enormous resource. My kids love it! Oh My God I love this lens! I am such an animal person. I have shared this on tagfoot. I watched your videos and loved every one of them. GREAT lens!